French markets are always a feast for the senses but at this time of the year they are simply spectacular. It is not the French way to import produce so food is truly seasonal here and during the summer months, the variety of fruit and vegetables is amazing. We are based in the Yonne region of Burgundy where much of the produce is grown so many of the stall holders are growers and much of the produce has come straight from the farm to the market that morning. The photos in this blog are from last Sunday at Charny market where they were selling freshly picked cherries, peaches, melons, gooseberries, redcurrants, strawberries and raspberries all on one stall! We bought a kilo of the biggest, most perfect cherries you have ever seen for €3 and ate pretty much all of them on the way home! The charming village of Charny is just 35 minutes from our depot and also boasts a couple of very nice Bistro restaurants and an excellent campsite with a pool so it is great place to head for on your fist night, particularly if you pick up on a Saturday (so you can visit the Sunday market). If you have the good fortune to be travelling in France with your own dining table, crockery and cutlery (as you do in a campervan), between the French produce markets and the boulangeries you can dine like kings without ever visiting a restaurant or cooking anything! In addition to the sublime fruit and vegetables, the markets also sell every protein you can think of from homemade patés and “Poulet Roti” (chicken roasted on a spit before your very eyes!) to the ripest of Brie. Combine a trip to the market with a visit to the boulangerie and you can add freshly baked quiches, Gougères (a Burgundy speciality made from choux pastry and cheese), exquisite fruit tarts and of course, the best bread in the world. 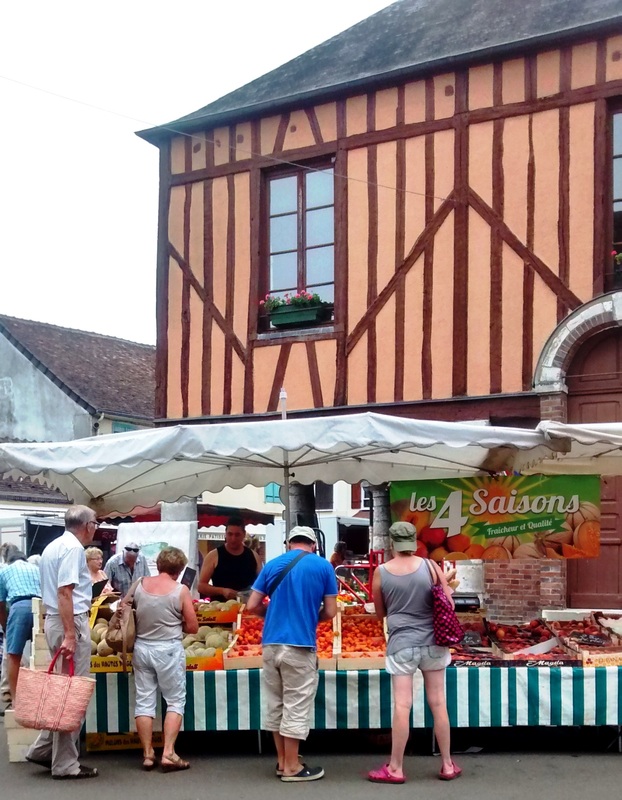 Every French town and even many of the smaller villages will have a weekly market and the regional tourist board for each area will be able to give you list of which day each market is so you can plan your itinerary accordingly.